Costs of Oconee’s Fast Growth Policies are coming due! 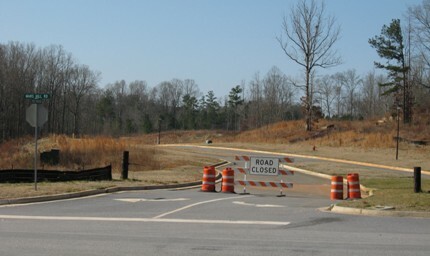 On August 25, 2011, The Oconee Enterprise carried a front page article by Blake Giles, with a large headline: Parkside foreclosure imminent - Debts of $ 27 million on ambitious 530-acre real estate development. The Oconee Enterprise article also quotes Land Planner/Developer Ken Beall and Realtor/Developer Tom Little extensively. Ken is complimentary of the subdivision and laments its demise. He and Little seem to think it will have minimal impact on the county and land prices. HOGWASH! Land prices are already hurting. Few are buying land these days and prices are down! The housing market is stagnant and Oconee has a supply of platted residential lots that should last for years, if not decades. The Real Estate market for Commercial and Office buildings is struggling. For Sale and For Lease signs are everywhere. The tax assessors like to say that sales indicate values are stable. That is also Hogwash! There is no market for the properties and not much is selling. For Sale signs are several years old in many cases. At last count, there were ten vacant units in the Resource Valley Office Complex on Jennings Mill Road, where my office is located. Rent is scarcely half of what it was even five years ago. The Tax Digest is still overvalued and is not going to turn around anytime soon. From time to time, in talking to folks connected to the real estate industry, one hears comments like: ‘When it comes back”…“I am holding on but hope this thing turns around soon!” I feel that much of that talk is wishful thinking. The building market in Oconee County built up a big bubble that burst a few years ago. The National Recession is not helping either.However, the boom of 2003-7 is over for at least the next decade or more. Oconee’s policies of promoting Fast Growth were ill advised. We could have avoided much of the housing depression had we stayed on the path of moderate growth. While some developers, builders, businesses and banks have lost much, all of us have lost and will be paying for these mistaken policies for the foreseeable future. 4. County roads are not keeping up with the traffic:New High Shoals Road, Union Church Road, Astondale Road etc needed resurfacing several years ago- they ‘ride rough’! Where growth was the centerpiece of the recent election campaigns, incumbents had about as much opposition as support. No one has a mandate to ‘throw open the gates’ or to ‘mortgage the county’s future’.Citizens should not be discouraged.Now is the time to be alert, informed and involved. 8-25-04 Does Oconee Have New Master Plan? Property owners and developers can benefit from a fast-growth policy.However, residents should expect quite a different Oconee County. It is regrettable that real public meetings and discussions were not held before we quietly embarked on this course. It will be interesting to see where the lines are run first - influential landowners, developers and speculators. ………For some of us of “senior status”, spiraling prices for land and housing has caused some head scratching. Will it last? Is it a long-term thing?There are many opinions out there.One can also look to life’s experiences and historic trends. 9-2-05 Is There a Housing Bubble in Oconee County, Georgia & the United States? For the last several years, I have observed “row houses”, on small lots, along GA 316 in Gwinnett and Barrow Counties. Oconee did not have much of that until sewer service and MPDs came to the county. Now they are springing up in many places, some rural “boondocks” in my lifetime……. "Bubbles burst, they really do," said Joel Naroff of Naroff Economic Advisers. "The Federal Reserve has to be concerned that just may happen, which could make them more cautious going forward." Over a 35 year career of practicing law and being involved in 1,000s of real estate transactions, I have seen several down cycles in the housing market. From each downturn, I remember some builders (developers) (who had been “boring with a big auger”, as a friend said), just disappeared from the landscape. We have been on a pretty long run for about 14 years. Metro-Atlanta flight is feeding the NEGA housing market and growth. However, interest rates, supply and demand and other factors can cause a hic-cup or outright recession in the market. Some have predicted it for sometime now- just as some did about the stock market and the technology listings in the late nineties.Some win and some lose. A fire can only burn bright for so long! We will see over time who survives the next natural downturn…..
Land value decline in Oconee County is now a matter of record! (413.44 acres sold for $ 1.6 Million or an average of $ 3,869.96 per acre). On December 11, 2009, DUN-LA-HUR DEVELOPMENT, INC sold to APALACHEE RIVER PROPERTIES, LLC, 413.44 acres on the Apalachee River and U S 441 for $ 1.6 Million or an average of $ 3,869.96 per acre (Deed Book 1043, Pages 235-236). The same land was purchased by the seller on January 6, 2005, for a total price of $ 2,480,700.00 (Deed Book 782, Pages 510 -511).